A “Holiday Trolley” organized by a local limousine company is coming to Brick to collect gifts for the PAL and Toys for Tots charity programs. 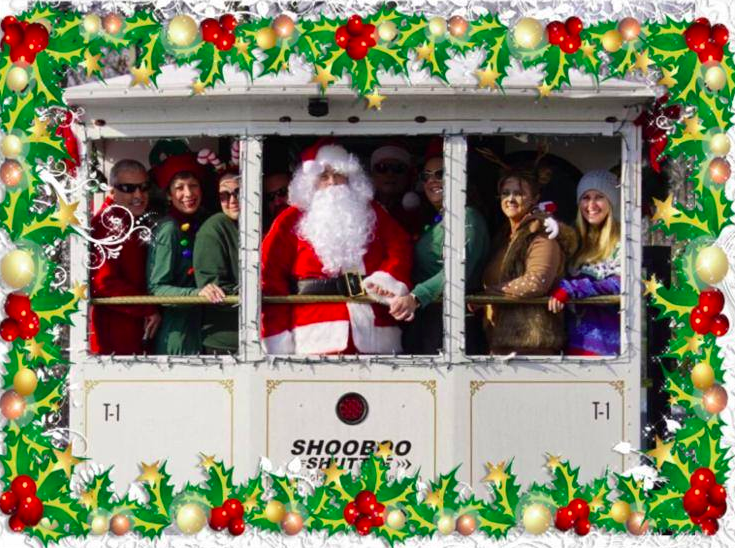 Shore Luxury Limos will bring its Christmas-themed “White Winter Trolley” to the Brick Police Athletic League building Dec. 13 from 9 a.m. to 3 p.m. It is one of several stops planned by the company in the local area. Of course, Santa Claus and his helpers will be there to load the gifts on their way to children in need. The PAL building is located at 60 Drum Point Road. For more information, see the Shore Luxury Limos Facebook page.